Boils are infected portions of the skin that fill with pus as the body tries to fight the infection. They are often sore and painful to the touch and can occur almost anywhere on the body. When they occur on the face, they are referred to as cystic acne. Applying heat to boils can help improve circulation so the body is better able to fight the bacteria, and antibiotics can be helpful. Diabetes can trigger acne outbreaks. 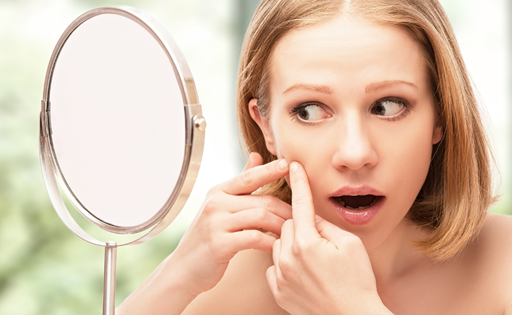 According to the American Diabetes Association, one-third of diabetics experience a severe acne outbreak at some point. This is likely caused by the fact that diabetes can impair the body’s ability to fight off infection. While an outbreak alone may not mean anything, those with a family history of diabetes should be aware that their acne may indicate something more serious. Rosacea is a redness of the skin that is caused by tiny pimples on the surface. The pimples of rosacea are not true acne. Some acne treatments such as antibiotics and topical creams help rosacea, but others aggravate the skin and make the condition worse. A skin care professional or doctor can help you treat rosacea without further aggravating the condition.